Dr. Korval joined Greenwich Pediatrics in 1979. He graduated with a Bachelor's degree in Political Science from Franklin and Marshall College, received his MD from St. Louis University School of Medicine, and completed his residency training at The Children's Hospital of Philadelphia. 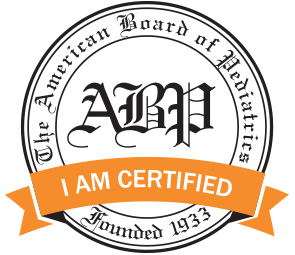 He is Board Certified by The American Board of Pediatrics, and a Fellow of the American Academy of Pediatrics. He served as chairman of the Department of Pediatrics at Greenwich Hospital for eleven years. His interests include biking, his dogs and spending time at the shore. Dr. Cass joined Greenwich Pediatrics in 1986. She graduated from The Johns Hopkins University with a BA in Biology, then earned her MD from the University of Connecticut School of Medicine. 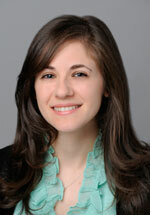 She trained in Pediatrics at Bridgeport Hospital and Yale, in the primary care program. She served a term as Chief Resident. 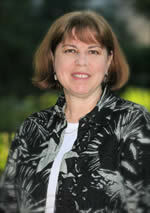 She is Board Certified by the American Board of Pediatrics, and a Fellow of the American Academy of Pediatrics. She spends free time with her family and friends, skiing, biking, beaching and gardening. 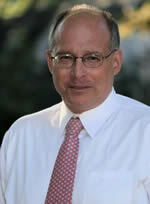 Dr. Krowitz joined Greenwich Pediatrics in 1991. She graduated with honors from Harvard-Radcliffe University with an A.B. in Biology, received her M.D. from Cornell University Medical College, and completed her residency in Pediatrics at the Albert Einstein College of Medicine. Before joining Greenwich Pediatrics, she did an Ambulatory Pediatric Fellowship at Montefiore and North Central Bronx Hospitals. She is Board Certified by the American Board of Pediatrics and is a Fellow of the American Academy of Pediatrics. Dr. Krowitz lives in Stamford with her husband, Scott, and is the mother of two teenage boys and an English Springer spaniel. 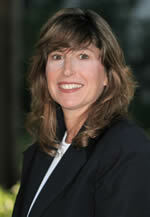 She is an active member of the Stamford Jewish community. In her free time, she loves travel, art and theatre, as well as spending time with family and friends. Dr. Millman joined Greenwich Pediatrics in 2017. She graduated from Haverford College with a B.S. in Biology and concentration in Biochemistry. She received her M.D. from New York University School of Medicine and completed her residency in Pediatrics at the Icahn School of Medicine at Mount Sinai. Dr. Millman lives in Manhattan with her husband, Matthew, and newborn son, William. In her free time, she loves reading, hiking, squash, and musical theater. 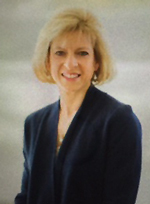 Cindy Wechsler has been working as a Pediatric Nurse Practitioner since 1990. She received her BSN degree from Adelphi University and then attended graduate school to pursue a Master's degree. She graduated from Yale University in 1990. 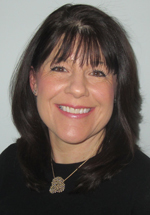 We are fortunate to have Cindy join our practice and bring with her over 2 decades of experience and expertise. In addition to providing well and acute cure, Cindy works as a lactation specialist, helping moms with any breast feeding issues. Cindy attended the Institute for Integrative Medicine in 2005/2006 and became a Certified Infant Massage Educator in 2008. Cindy has 2 grown children that helped her to appreciate the parenting experience. In addition, Cindy is passionate about fitness and nutrition and in her free time competes as a pro bodybuilder. Terri Bernstein first joined Greenwich Pediatrics as a Nurse Practitioner in 1991. Prior to joining Greenwich Pediatrics, she worked at New York Hospital in the Pediatric ICU, and subsequently at Stamford Hospital as the Pediatric Clinical Specialist. Terri received her BSN from Boston University in 1985, graduated from Columbia University with an MSN in Pediatric Acute Care in 1988, and also received her Post Master’s Certificate as a Family Nurse Practitioner from Pace University in 1991. She is board certified as a Pediatric and Family Nurse Practitioner, and is ACLS, PALS and BLS certified. She is also an American Heart Association BLS instructor. 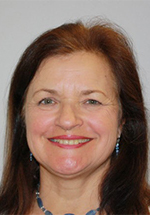 Terri is currently an Adjunct Professor in the Department of Graduate Studies at Pace University Lienhard School of Nursing and teaches in their Family Nurse Practitioner Program. Terri enjoys running, traveling, and spending time with her family. Fill out the form below to sign up for our office updates and alerts.